This year’s college football rosters may have more Rio Grande Valley players than ever before. No one knows exactly what that number has been in the past, but typically the number of RGV football players in college has been low — although there have always been some. This fall, with coaching changes and newer programs still building, the number may be rising to an all-time high. This is especially true in the Central and South Texas regions, where most RGV players, historically, have had the best opportunities to play. But being on a roster doesn’t necessarily mean playing time. Many players do not start and spend lots of time on the bench or on practice squads. Rosters can be fluid. Coaches can choose to redshirt players or bring them back to the active roster during the season. The University of the Incarnate Word is the leader in the derby for RGV football recruits, with nine players listed on the 2018 roster. The Division I FCS Cardinals, of the Southland Conference, have players from schools all around the Valley including Edinburg Vela, McAllen High, Weslaco East and Harlingen High. The Texas A&M-Kingsville Javelinas have six Valley players on their roster. DII TAMUK has long recruited Valley players, and many have starred there or even gone on to the NFL, like Roberto Garza. Division III Texas Lutheran University in Seguin has five Valley players on its 2018 roster. The Bulldogs are in the same conference with Southwestern University in Georgetown. The Pirates, who have four Valley players on their roster, are led by first-team all-conference quarterback Fred Hover (McHi). True DI UTSA, of Conference USA, has four RGV football players on its active roster. This year, the Roadrunners put three Valley players on scholarship, including McAllen Memorial recruit Kelechi Nwachuku. Other area schools with RGV players include DIII Trinity University with three, DII UT-Permian Basin (Odessa) with three, DIII Sul Ross State University (Alpine) with three, DI Lamar University (Beaumont) with two, DIII Mary Hardin Baylor with two, and DII National Champion Texas A&M-Commerce with two. Other Valley players are spread around the state, and the Valley has also placed outliers at big schools, including McAllen Memorial’s Trevor Speights, a junior running back, at Stanford and Los Fresnos’ Mike Mendez, a junior offensive lineman, at Purdue. 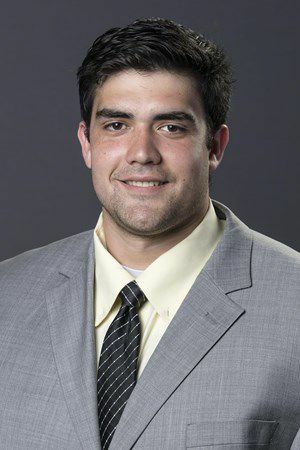 Former McAllen High running back Josh McGowen is a sophomore at Stephen F. Austin, and McAllen Memorial grad Jonathan Sanchez is a tight end at Rice. Brownsville St. Joseph offensive lineman Miles Fowkes is at Texas A&M, and Edward Pequeno, a defensive lineman from McAllen Memorial, is on Texas’ roster, but the junior has not seen action. 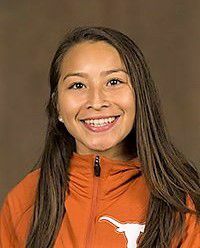 Alex Cruz, Valery Tobias and Brandon Gracia opened the NCAA cross country season by performing well for the University of Texas Longhorns at the Texas Invitational XC Meet in Round Rock. Cruz, a senior from Edinburg High who qualified for the NCAA cross country finals last year, earned second place with a time of 13 minutes, 20.1 seconds in the 4K run. Tobias, the former state champion from Edinburg IDEA Quest, posted a 15:15.4 mark at the Aug. 31 event. The freshman finished in 17th among 36 runners from UT, Texas Southern and Prairie View. Gracia, a freshman from Rio Grande City, placed seventh in the men’s 5K, crossing the finish in 15:53.1. He finished sixth among his team in a race with 17 runners. 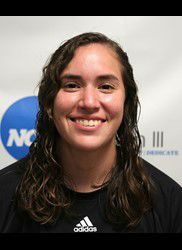 Sharyland Pioneer product Stephanie Barrientos began the 2018 soccer campaign much like she ended 2017 — starting as the stingy goalkeeper for Texas Lutheran University in Seguin. In just two full matches this year, Barrientos has already recorded 15 saves and allowed just two goals while defending 30 shots in 200 minutes. The 5-foot-6 junior started 18 of TLU’s 19 games last year while leading the DIII Bulldogs to an 8-6-2 overall record. In 2017, Barrientos allowed just 1.39 goals per game while posting a 78 save percentage and recording six shutouts. The athletic training major has made the South Collegiate Athletic Conference honor roll two straight years. As a defensive specialist for the Our Lady of Lake University Saints, Elizabeth Olivarez has one goal: stop any and all kill attempts by the opponent. In 2018, so far, so good for the 5-foot-5 Edinburg High product. 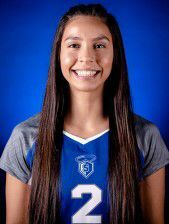 Olivarez already has 123 digs in 25 games played, putting her on pace to easily outdo her 2017 season of 250 digs in 117 total games played. So far this year, the communication disorders major’s 4.92 digs per game ranks as second most in the Red River Athletic Conference and 46th nationally among NAIA schools. Although OLLU has started the season 2-5, the Saints have been in every match and have yet to play at home.